instagram and weekend sales round-up! hi friends! hope y’all are having a great weekend! as always, here’s the instagram round-up and we found y’all a ton of great sales going on this weekend too! anytime I’m not in workout clothes, this is basically my go-to look. this cardigan is amazing! it’s as soft and comfortable as a robe, only you can actually leave your house in it. and I’ve shared these kicks before, but they are legit some of my favorites! so much so that I have them in 3 colors haha I love them! 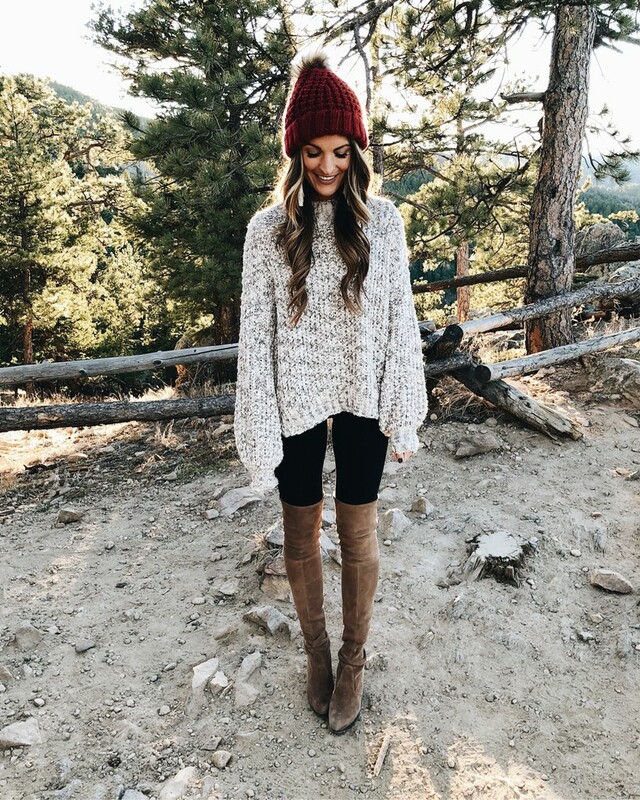 well this chunk knit sweater is one of the coziest things ever! and I love how textured and oversized it is. I was so excited to share this bell sleeve cardigan with y’all! 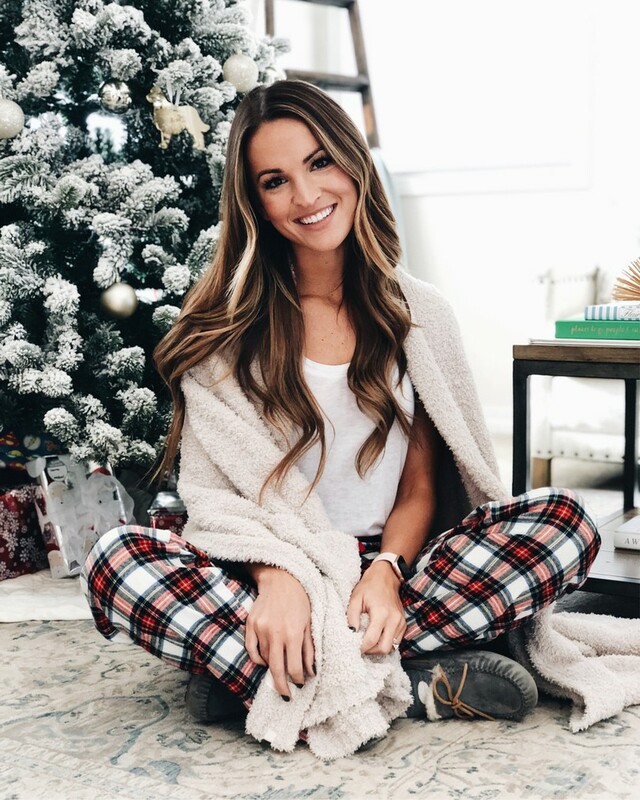 I love that it’s easy to dress up or down – you can pair with jeans for dinner, or just throw it on with leggings for lounging around or taking care of errands. and I love these leopard flats! such a fun pattern and great way to complete an outfit. so obsessed with these high waisted jeans! love the raw hem and they aren’t TOO distressed. also love the flattering fit of this bell sleeve top – it just has such a classic look to it too! wore this sweater (one of my absolute favorites!) to my event at Evereve this week – which was seriously SO fun! and I love the flattering fit of these jeans and how comfortable they are. they don’t stretch out and the distressing is super subtle. y’all how cute is this little deer sweater for the holidays?! I used up to a small for a slightly looser fit and it is so comfy! have also been wearing this beanie and these OTK on repeat lately – seriously some of my favorite boots EVER! easily one of my favorite oversized cardigans! and it comes in another color too! plus y’all already know these suede slip-ons are some of my favorite shoes for traveling, running errands, or just going out with friends! seriously the most comfortable, adorable flats ever. all the best weekend sales! « gift ideas for men: michael’s wishlist! aw thanks! haha and no worries, it’s not for everyone! I’m totally loving your hair lauren! I cut off about 10 inches a few weeks ago and am loving it! Welcome to the short hair club girl!